Hello folks, I couldn’t find an intro section so I thought I had better introduce myself before anything else. My name is John (my handle is a Hitchcock reference for the film buffs on here) and I live near York. I have a few bikes including a project Matchless which consists mostly of G3 stuff. I will explain a bit more below but for anyone interested I also have a 1920's Harley Davidson, a 1930's Triumph a 1990's Honda and a noughties Yamaha. I used to have a mid 50's G3LS which I got from friend's dad. He had ridden it home in about 1972 and the clutch cable broke so put it into the shed where it laid until about 1989 when I acquired it. Back then I was as poor as a church mouse as they say and despite my best intentions, about 4 years later I had to sell it due to nothing other than being desperate to raise some cash for some essential family expense. This was a shame because it was 100% original and untouched and was still wearing a thick layer of oil and grease. Since then I have always fancied getting another G3. Also I think that the competition/trials models are a much nicer looking bike than the standard road bike but I would be reluctant to modify a complete and original road bike into a trials bike. Fast foreward to early 2014 when i bought a collection of G3 parts on ebay. This turned out to be a good buy. The "bike" had been purchased from Bonhams by a dealer in November 2013 (see link here http://www.bonhams.com/auctions/20933/lot/318/) and he was flipping it on ebay for a quick turnaround and, presumably, profit. I got it on ebay for less than he paid for it. Lucky me, unlucky him. Between then and now I have had various other bike and building projects that were further up the queue so the G3 has had to take the back seat until now. I expect to finish my current project in the next 3 to 4 weeks and then I intend to start on the Matchless. So that brings me to why I have joined this forum. I will post my progress on here as the bike comes together but first I was wondering if I could ask for some help in identifying what I have. The frame/chassis was advertised by Bonhams as a G3LS from circa 1958. The frame number is A63962. Does this correlate to a G3LS from this year? It also came with an engine which was described as "a competition unit built in 1953"
The engine number is 53/G3L 1415C. However I am not sure about how it is stamped. All of my other bikes are stamped very neatly but this one is all over the place (see picture). Do you think that it is what it purports to be or something that has been messed about with? This engine was incomplete and had some other problems. The cases need some weld repairs and also someone has hack sawed the threaded end of the timing side of the crank (WTF?). The timing case is also empty. Between then and now I acquired these cases but I am not sure about the numbers on this either. There is a feint "B" then a large gap and then a / and then "G3LC". These are earlier cases and also need some repairs. Given that I am close to wanting to start this project I took the opportunity whilst at Stafford last Saturday to acquire another engine. This one is much better and is certainly complete. It is an AJS 350 bottom end with a 500 top end. However I am not sure how to decode the engine number which is 460 1130. Also the "3" is stamped upside down. Any ideas. Were AMC always a bit lax with stamping the engine numbers? Also the gearbox that came with the bike has the number G2C46 on it. I am assuming that this is from a G2 not a G3? Does it matter, was the gearing the same or different? Given that what I have is a collection of AMC parts rather than a complete bike it fits the bill perfectly for my plan to build it in a trials style but it would be nice to ascertain what I am starting with. Last edited by George Kaplan on Tue Apr 25, 2017 8:51 pm, edited 1 time in total. Thanks Clive. I absolutely do intend to use the dating service although before I do I will need to work out which set of cases I am going to use and if the gearbox is OK for my intended purpose or if I need to find another one. I have looked at some reference works for engine numbers and I agree that the "53/G3L" number correlates closest with what I have read. However did AMC always stamp the numbers in such a haphazard way? The numbers on this engine are all over the place. 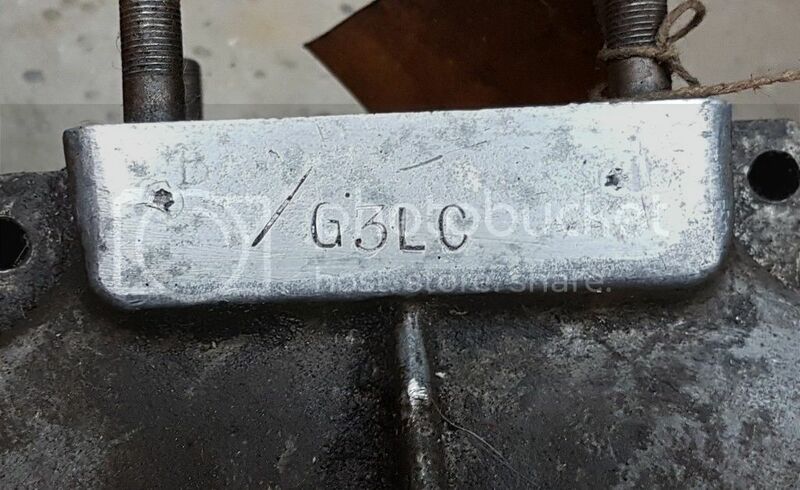 The G3LC engine looks like it has maybe had a repair at each end of the area where the numbers are stamped. I will have to clean it up a bit more and have a better look. The AJS cases are the ones that really puzzle me. 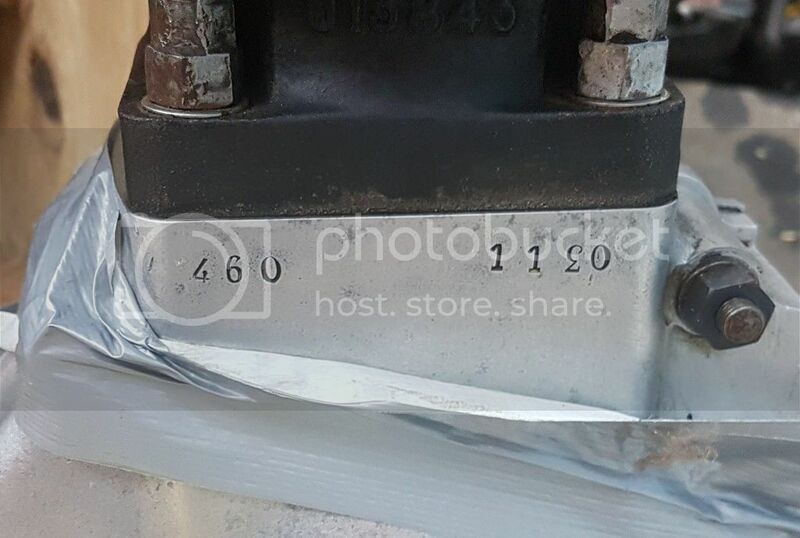 If you are going to fake an engine number then you would be very careful to do it neatly and the right way up. This tends to make me think that they might be correct however I was wondering what the collective wisdom on here thinks because I am not familiar with AJS engine numbers. should they be spaced out like this at each end of the case? Also how does the G2 gearbox compare to a G3 one? Is the "C" in its number of any significance? I joined this forum as a guest about a week ago. I made a post and had one reply and I replied again on the same day. My last reply went to a moderator but I haven’t heard back since. I have looked at the various FAQ's etc but couldn’t find out if, as a guest, I am limited to just one post? If not then did my reply contain something that is not allowed on this board? If so can you let me know what it was so I can avoid in future? Would it be possible to explain please? OK, so my message to admin has been posted straight away. So what happened to my previous reply of a week ago that told me it was off to a moderator for approval? OK folks, that’s weird but I am sure some IT expert can explain. Anyway here is what my last reply said before it was Lost in CyberSpace. I do intend on joining the club and also using the dating service. However, based on my previous experience in building basket cases and getting a dating certificate from the VMCC, I need a complete bike to get a dating certificate. To get to a complete bike I need to decide on which crankcases and gearbox to use. The first set of crankcases that came with the bike are 53 G3L cases. However the numbers are all over the place Is this common on AMC bikes? My experience with other marques has been that the numbers have been stamped much neater? Also is the "C" genuine or has someone added it? If I were to guess the C should be before the number rather than at the end but I might be wrong. If someone added it later then there is plenty of room to stamp it before the number rather than at the end so perhaps it is not an addition but original?. Does anyone on here know how AMC usually did it in 1953? The second cases Have the "C" straight after the G3L (hence my question above) They are however earlier cases, you can see the different top part to the cases just below the numbers compared to the 53 cases. There appears to be some sign of repair at each end of the area where the number should be so perhaps that would explain why the number is missing. Any ideas? For example I do know that Honda did supply replacement crankcases for some bikes with no number, did AMC do something similar? The last cases are from the AJS engine. Do they look correct for an AJS? I couldn’t find much info on the format of AJS numbers. Lastly I seem to have a G2 gearbox. How much different is a G2 box from a G3 box? Does it matter? The gearbox number means it's from a 1946 model 18 (500cc). 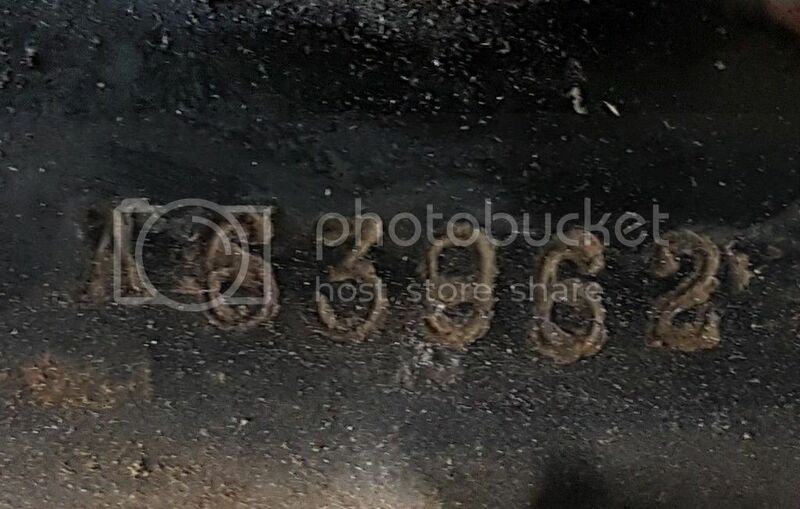 The 53 crankcase looks OK to me. The C is in the right place. It would be an all alloy trials engine with through studs, so will need trials alloy barrel to suit. George Kaplan wrote: Lastly I seem to have a G2 gearbox. How much different is a G2 box from a G3 box? Does it matter? I can't help you with your other queries but as far as I know, the G2 gearbox (which I do know intimately )is nothing like a G3 gearbox (which I don't know very well). I'm not Admin or a Moderator but I'll try to explain. Non-members have their first five posts vetted first to confirm that you're a fine upstanding pillar of society. After that you can make as many posts as you like for three months, at which time you may join the club (has anyone mentioned that to you yet?) which permits you access to other parts of the website. Alternatively you get barred from posting on the forum but would still be able to read the public areas. I don't know what happened to your 2nd post but it's possible that the website threw a wobbler at the time and it disappeared into the ether, or a moderator clicked the wrong button. If you posted something against the rules, you would normally be informed of this. I'm sure I've seen the rules for this somewhere but I can't find them. Basically, you mustn't abuse other people, serious bad language is frowned upon, adverts are not permitted on the forum, politics and religion are kept to a minimum and the really, really important rule is that you mustn't upset Janet. G2 refers to the Burman gearbox number Janet. Not a G2 model bike. You will find Burman gearbox numbers commence G followed by other numbers and letters like 3 even 45, 79, 88 etc. From the complete number, you can discover, what year and model bike the gear box fitted. Also the year and month the gear box was made. 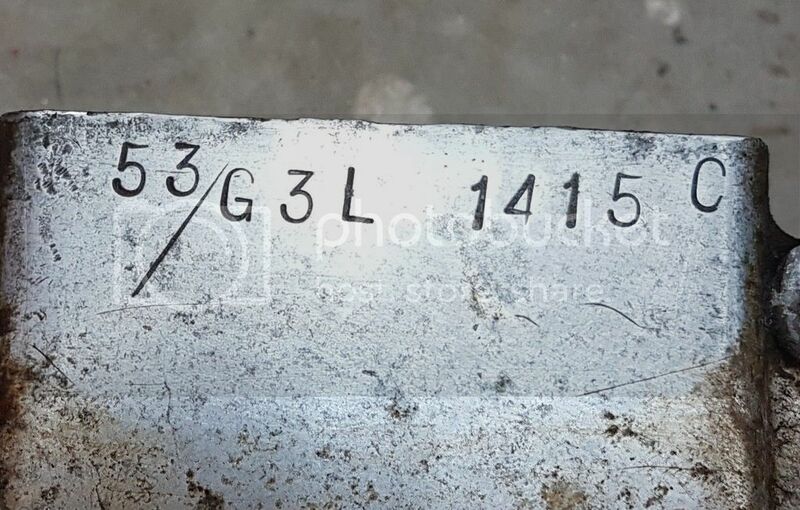 Here is a list of Burman gear box numbers, showing year and model the box fitted, also info referring to the dating of the gearbox a the code letter for the month the gear box was made. Note Burman gearbox model year ran from Jan to Dec. Not Sept 1st to Aug 31st like A.M.C bikes. So a gear box may not date from the same year as the bike it fitted. Last edited by Rob Harknett on Sun Apr 30, 2017 6:47 pm, edited 2 times in total.